Today I am here to admit a past error that has haunted me for some time. 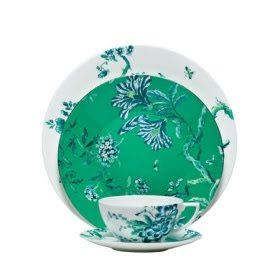 I, being a lover of dishware of all kinds, made a big mistake...a big china mistake. 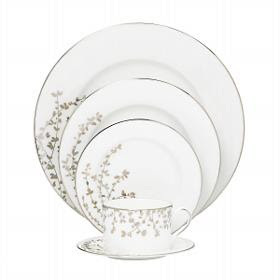 When I was engaged, I never did the traditional thing...I never registered for wedding china. Why? I have no clue. I guess being 23-years-old, fine china was not exactly high on my list of priorities. Now I can honestly say, what was I thinking? Who allowed me to get away with this? 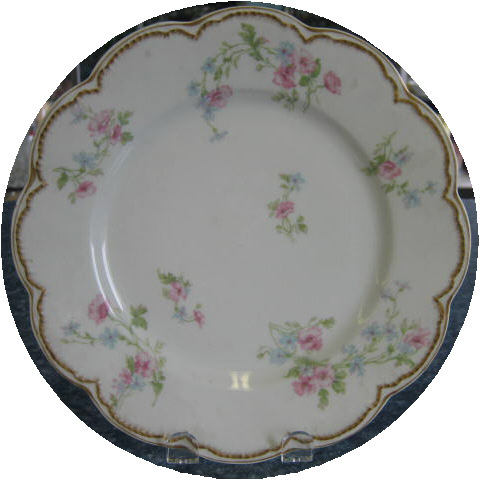 How I long for a beautiful set of china now, even if it does nothing more than collect dust in some china cabinet in my dining room! If I had to pick a pattern today, I don't know if I could do it. 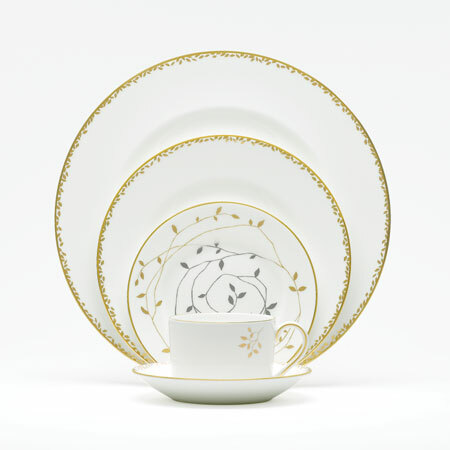 Would I want to go with something that had classic elegance like this one, Gardner Street by Kate Spade/Lenox? 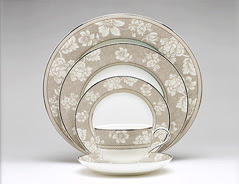 or how about this Vera Wang/Wedgwood beauty? How could a girl possibly choose from so much loveliness? What if the girl isn't into "new"? Perhaps she would like something vintage? How about this gorgeous one by Stetson? All of these patterns make me *sigh*. 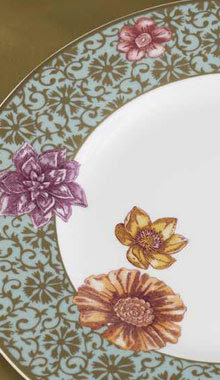 Maybe, just maybe, the *sigh* is slightly sweeter for the vintage patterns. With that thought in mind, I'm beginning to think that 23-year-old me may not have made such a big mistake afterall. Maybe she was smarter than I thought. 23-year-old me with my modern brass & glass tables would have never even considered vintage. Heck no! Somebody's old dishes? Cringe! Ewww! Now as I've grown "wiser", somebody's old dishes sound perfectly fine to me. I think it may be time to begin the search after all these years. So, what about you? What do you think of fine china? Do you have a set? Is it new or vintage? Let's talk china. Gina, I have a set that my Dad got for me when he was in VietNam. He could order Noritake for a bargain price. I loved it then and I still love it. Soon it will go to my married daughter. 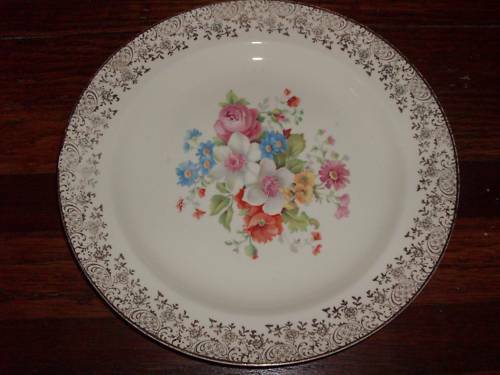 I would love a set of vintage china if I were you. Estate sales and even thrift shops get whole sets donated and can sell for a fraction of the original cost. I don't have my own set of china. I do have a set in the basement though that belonged to my husband's grandmother that she left to our daughter (who doesn't want it right now anyway) but estate sales are a great place to find a beautiful set. I saw one just last week that was pink and gray and the price was great! If you truly want some vintage china, start checking estate sales and thrift stores. You will find some I'm sure.